Screen Opening Gauge - Gilson Co. 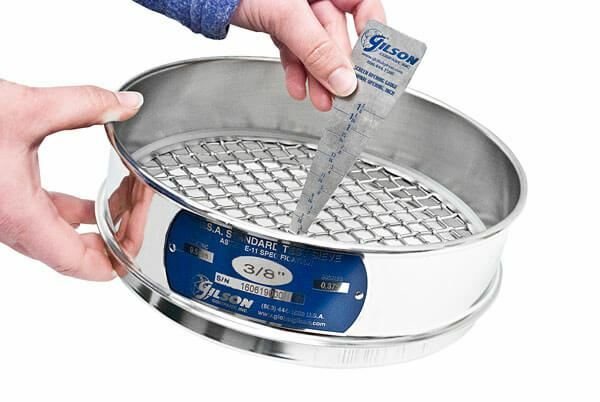 The Gilson TSA-265 Screen Opening Gauge is a useful tool when examining test sieves and screen trays as a quick check for wire cloth opening sizes. User simply places the gauge in an opening and reads where the mesh contacts the sides. The durable 22ga stainless steel body has graduations marked from 1/8 to 1 1/8in on one side and 3 to 28mm on the other. Not for acceptance or verification.